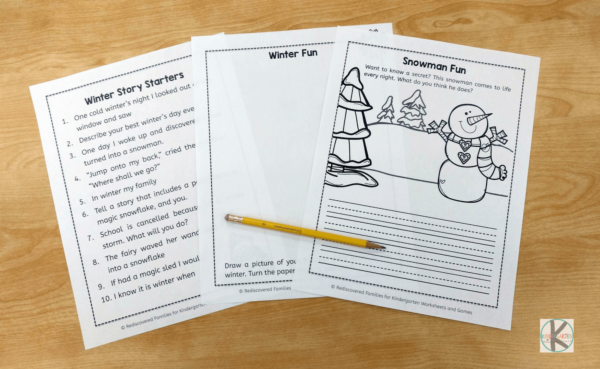 Make practicing writing fun for young learners with these free winter writing prompts. Winter has definitely arrived in my neighborhood! We are digging out from a large dump of snow and I can hear children laughing as they build snowmen. 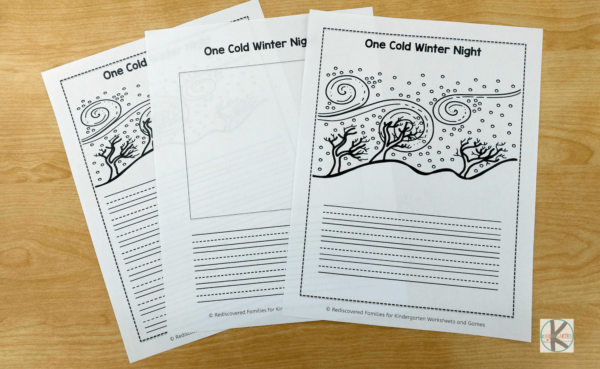 It is the perfect time to come up with some winter themed writing pages! Most children love this season with sliding, snowball fights and triple dog daring each other to stick their tongue to the frozen flagpole. Why not build on their joy with some winter activities? 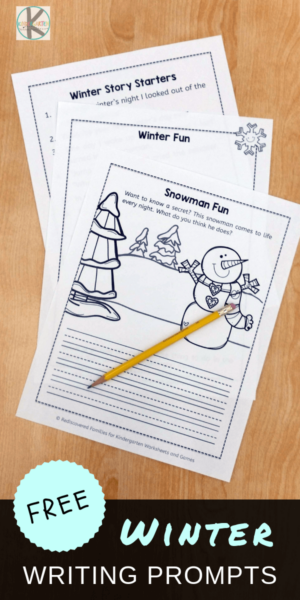 These Winter Writing Prompts are perfect for kindergarten, or first grade! There is something for everyone from beginners to more experienced writers. They are also versatile. Use them for quick writing practice, or for a longer writing activity. 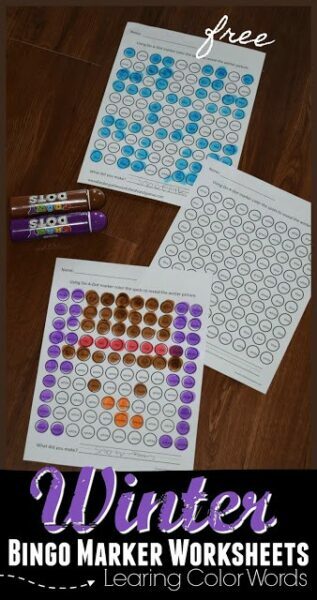 You can send them home for solo work at home or use them for group writing activities. The first page has a picture of a wild and winder winter’s night. Hopefully this will stimulate the children’s imagination and encourage them to write. There are a few lines after the picture for the children to write their stories. This page is perfect for younger students who are still developing their writing skills. It might be a good idea to do some class brainstorming before writing. Ask questions like: What is going on is this picture? What would you feel, hear, see? Where do you think this is? What adventure story is happening here? The second page is designed for use students who are capable of writing longer stories. It has the same wintery picture, but has a lot more space for writing. The third page has space invites students to draw their own picture and then write write a short story. This open-ended activity encourages students to think about a specific subject, and then express their thoughts through pictures and words. 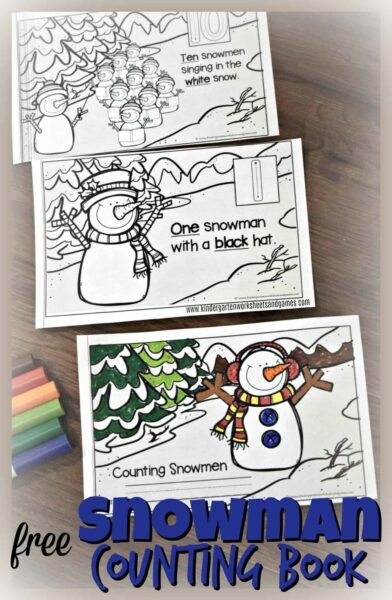 The fourth page is another fun writing prompt engages the children’s imagination and invites them to write a story about a snowman that comes to life. What fun! We’ve included two extra bonus pages just for you. The first page is a drawing page. 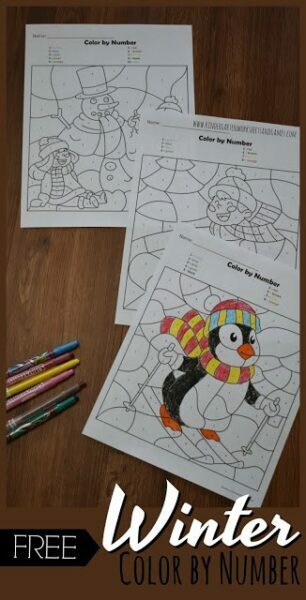 Children are asked to think about their favorite winter activity and draw a picture. 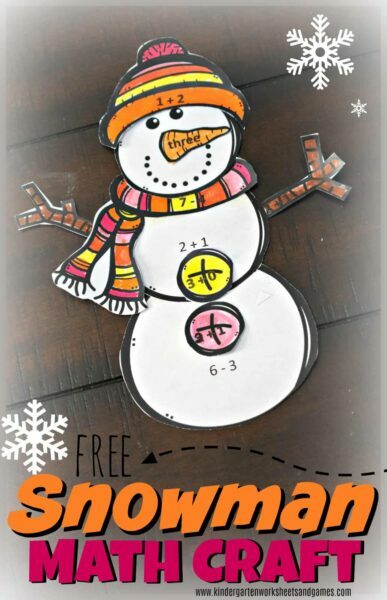 This would be a great activity for early finishers and would make a really nice display. The second is a page of winter story prompts. 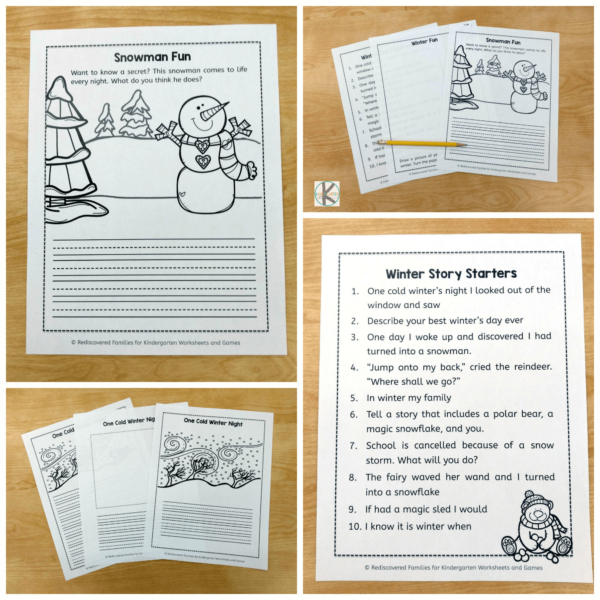 These wintery story prompts can easily be use with children at various levels. Children can choose a story prompt and work with it. It might be fun to have them draw an illustration as well. If you prefer use them for group work. Give small groups of students a story prompt with to work with. Invite them to write and illustrate the story. If you prefer they could create a short skit. Story prompts can also be used for writing journals, centers, or sent home as a homework assignment. They can also be used in tandem with an art project.